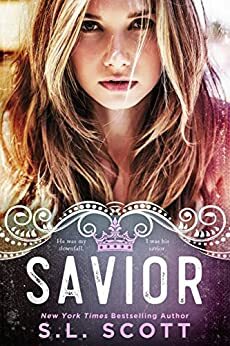 SL Scott has given us the most captivating conclusions to The Kingwood Duet with Savior. I was left in a total tailspin at the end of Savage. The 'OMG it can't end like this' ending had me ready to pull my hair out and throw my kindle. I have been waiting for the conclusion for what feels like a lifetime and OMG, what a way to finish The Kingsood Duet. Savior picks up where Savage ended and you will instantly be transported back to that gut wrenching moment where Sara Jane's life hangs in balance and your screaming at her to hang on. All the questions you had after Savage will be answered. Twists and turns you didn't see coming will have you reeling - greed, lies and deceit at the forefront. The unconditional love and loyalty, hopes and dreams of the bad boy and his firefly that we fell in love with will be tried and tested. This book is intense, heartbreaking, all consuming and totally amazing. The emotional roller coaster ride will leave you gasping for breath and wanting more at the same time. I have no doubt that anyone one who reads this stunning duet will have a massive book hangover by the end of it. This is one series you seriously need to read. My praise for SL Scott is endless. The story picks up where book one ends, so reading Savage is definitely a must! Ramifications of what has happened is life changing for them both since the death of someone close to the couple and the injuries Sara Jane sustained only seemed to bring this couple closer. Still there are secrets and questions that need to be answered and they will be, have no fear of that. Although don't be surprised that the answers you seek will come with a few twists and turns. Love never seems to be that straightforward. The POV from Sara Jane is soft and light which brings you the perfect balance to this story. The not so straight forward love story between these two characters is one of the many things that keeps you interested. Will they get there happy ever after, or won't they? Where there is pleasure, there is pain and no matter what, this couple was just meant to be. Yet again S.L. Scott has written a masterpiece that I, for one, will not be forgetting in a hurry. The in-depth exploration of these two characters will hook you up and reel you in with no chance of escape. And you won't want to! I love her style of writing and the care and attention to detail she takes. Apart from an outstanding story, she has portrayed the characters so well from mind, to pen, to paper. I absolutely loved it! Bravo! Congratulations! Totally deserving of the five stars I have awarded and looking forward to reading more of this author's work. S.L. Scott has done a wickedly remarkable job with this book It will leave you winded and breathless from this chaotic roller coaster ride. This is the finale that I have been craving to read, especially after the epic cliffhanger from the first book. It's full of twists and turns, buried secrets and love scenes that would melt any beating heart. You feel the constant battle between corruption and innocence intertwining between the main characters. Their chemistry is poetic; it sears into your soul and leaves you hyperventilating. I honestly didn't want this story to end; every page just left me wanting more answers to these buried secrets that the characters hide so well. This story is superbly written; it was the first series of books I have read by this author, I so can't wait to devour some more. The end of Savage gutted me my heart and soul hurt for Alexander I just couldn't wait to get my hands on this but I was anxious. It's so hard to not put spoilers in this review because everything i could tell you is a possible spoiler. Be prepared for the unexpected there are secrets huge secrets and twists that I never would have guessed in a million years. My heart was pounding in hope and fear, I loved book one but this one was more emotional. The author has managed to convey every single emotion all the characters are feeling. I laughed I cried, I smiled I swooned, at times I forgot to breath such was the intensity of this book.